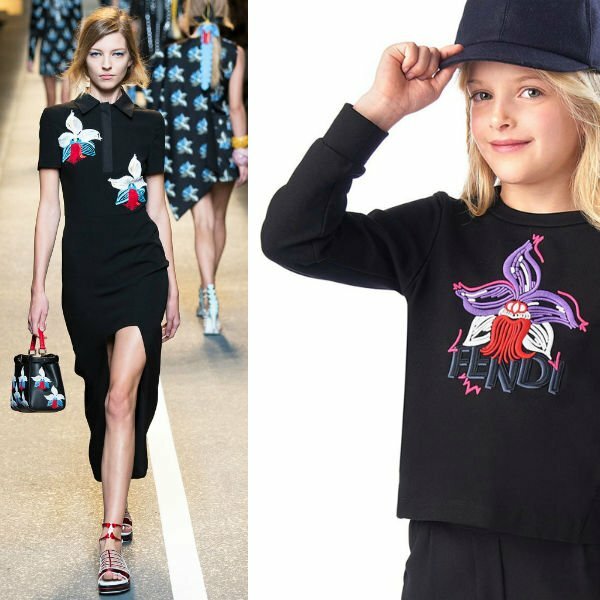 Your little girl will look on trend this Spring Summer 2017 wearing a Fendi girls black and white cartoon strip printed dress. A standout piece in the cartoon strip monster space theme, this pretty dress is perfect for any occasion, made in soft cotton jersey, with fluted shoulders and trims in black and blue striped silk and a pink ribbed neckline. 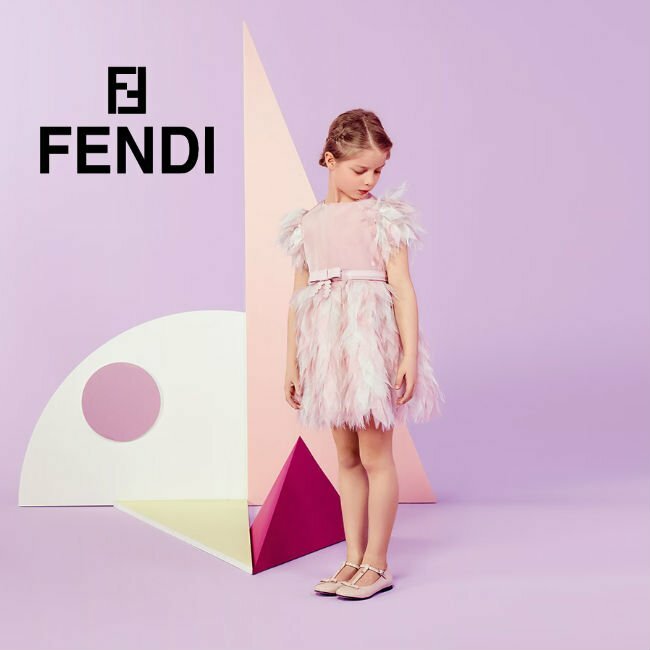 Complete the look with a matching FENDI Girls Padded Pink & Monster Print Reversible Jacket. The white side features Fendi's monster-robot print and logo design. The pink colored reverse side has a silkier feeling and features the designer's logo on the arm in contrasting yellow rubber. Don't forget to add a pair of these FENDI Girls Black Leather Studded Sandals decorated with multi-colored studs. The foot strap has a contrast white band and they are fully lined in leather, with a non-slip rubber sole. I also love these two other Fendi party dresses in the photo – a Pink 2 Piece Layered Dress and Pink & Silver Jacquard Dress.